What could make an idyllic, tree-lined park even better? A cool playground, of course. Nature-inspired colors allow this PlayBooster® play structure to blend into the beautiful scenery of Salina, KS. 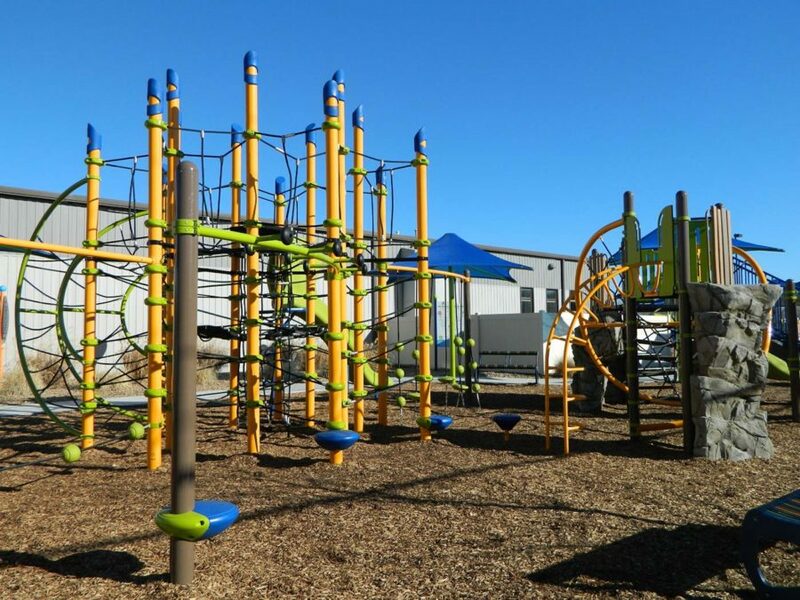 While families gather on park benches and picnic tables, kids ages 5 to 12 can scramble to navigate this linear collection of activities like the O-Zone® Climber, Gyro Twister®, the RingTangle® Climber, and so much more. Block Climbers provide a great tool for balance practice, a springboard to other activities and a perfect spot to meet neighborhood friends.